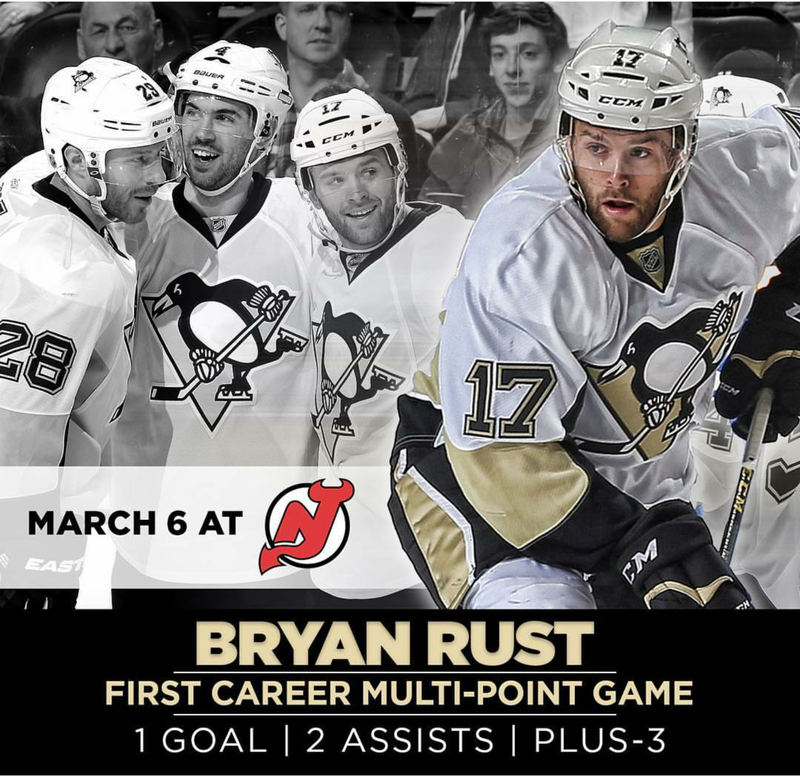 Bryan Rust. That is not a name one would have thought of to discuss when the 2015-2016 NHL seasons began. Relatively unheard of until his call up, Rust has been a breath of fresh air on a team that had gone stale and has proven to be a dependable asset to a Penguin’s line-up plagued by multiple injuries. His flat-out style of play and methodic skating ability are just two attributes that have come in handy for the “patch-work Pens”. With the regular season down to its final weeks, and Evgeni Malkin out 6-8 weeks, the Pens have made a move to keep this dynamic winger as a member of the black and (Pittsburgh) gold. He, along with teammates Scott Wilson and Tom Kuhnhackl, signed to 2 year deals (one-way) keeping all three here through the 2017-18 season. Seen by some fans as the “under-dog” of the three, he has proven his worth and will continue to showcase why he deserves to be a member of this top-level organization at full-time status. 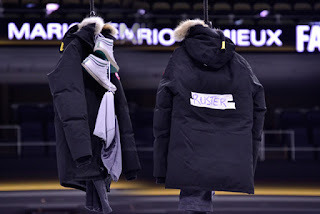 Drafted in the 3rd round (80th overall) in 2010, Rust has made it a mission to portray his grit and skill in hopes of being of high consideration to Penguins’ management. It was not until this season, however, that the fates aligned for the Notre Dame alum (paired with injuries to star players) that would allow him the needed amount of time to do so. “Rust certainly is not going to be the guy who drops the gloves. He has just 24 PIM’s in 98 games. Even at Notre Dame, he (Rust) had only 34 penalty minutes all four years, within 161 games” (Russ Hryvnak, DKPghSports). While this may have been true in the past, Rust has found his hoot-spa, doing a little mouthing off and “after-the-whistle” pushing and shoving of his own. Perhaps he has a little “agitator” in him after all. With the season on the line, however, not taking senseless fighting penalties will defiantly help down the stretch when every point is precious especially when on a team fighting tooth and nail for a playoff spot. Although excelling in his current role, Rust has the makings of being a prominent 2-way player. Being quoted as to “wanting to add more offensive skills to his game” (when interviewed by Russ Hryvnak, DKPghSports), he will get the chance to build and hone those abilities and even get more scoring chances playing on a line with more experienced team mates . For example: When on a line with Nick Bonino, he scored the game winning goal against Montreal on Jan. 9th. He also was finally rewarded for all the effort he has been putting in on the ice when he got a re-direct goal March 6th against New Jersey. His bursts of speed as well as a love for putting puck-on-net any chance he can get, Rust has the mind and skill set to be the type of bottom-6 player the Penguins could not afford to keep in the minors. His 3 goals/ 8 points along with his ability to cycle and move the puck with speed (not to mention his tenacity and work ethic), are all assets he brings (not to mention an infectious smile). Up against the cap and still with very little wiggle room, the 2-year extension just made sense, for both team and winger. It allows Rust 2 more seasons to build his game in the NHL and work towards an even longer stay here in Pittsburgh. At times, Rust has reminded me a bit of (former Penguin) Max Talbot. Though more offensively minded than Talbot, Rust carries that certain something that makes a team’s bottom-6 get taken seriously. Whether it’s the physical play, their ability to generate offense, and even score the occasional goal, Rust is (much like Talbot was) that bolt of energy needed at key moments of the game. Penguin veterans welcome "The New Guy"
He is that he is the guy you can always count on to do what needs to be done, and will do so with every fiber of his being. 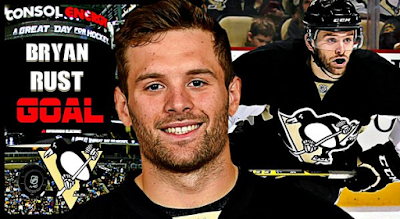 You can see it in his smile…Bryan Rust wants to be here, and here is where he will stay. “Out of all the forwards that are up there, I’d say Rust has one of, if not the, best chance of staying” said Hryvnak and I fully agreed and have been saying so for quite some time. Get comfortable, Bryan, because you aren’t the “New Guy” any longer.